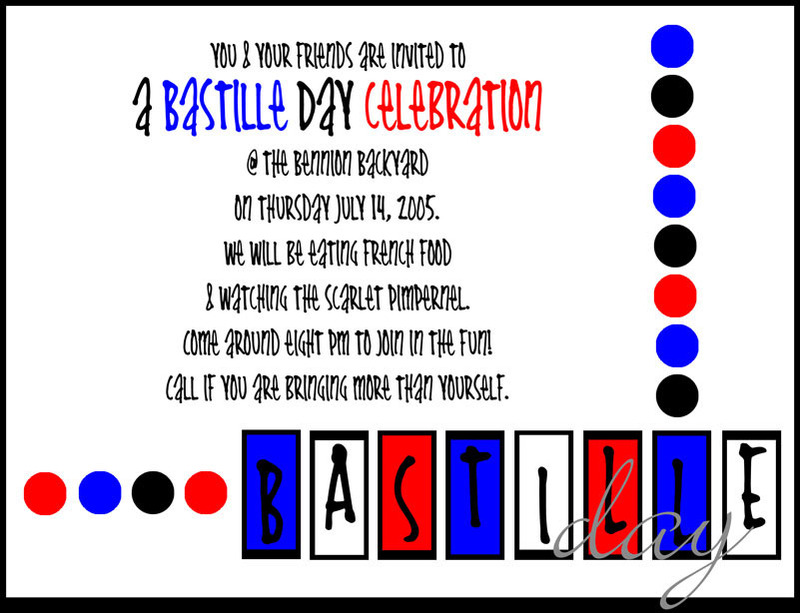 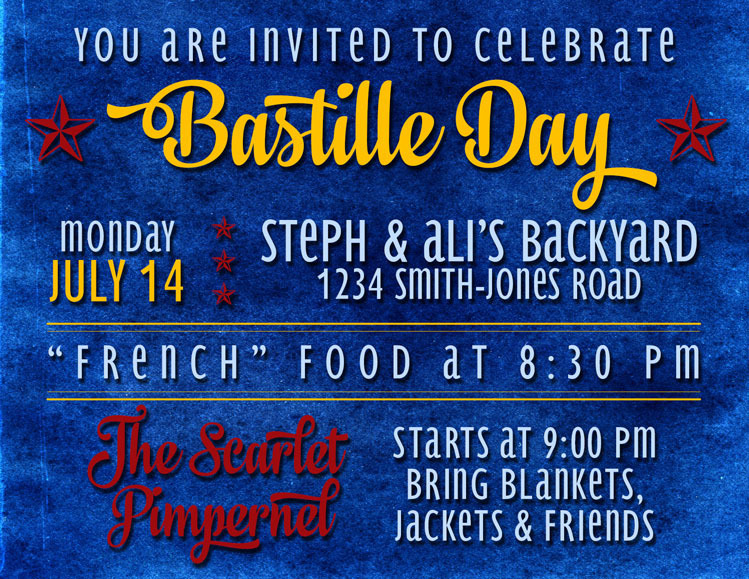 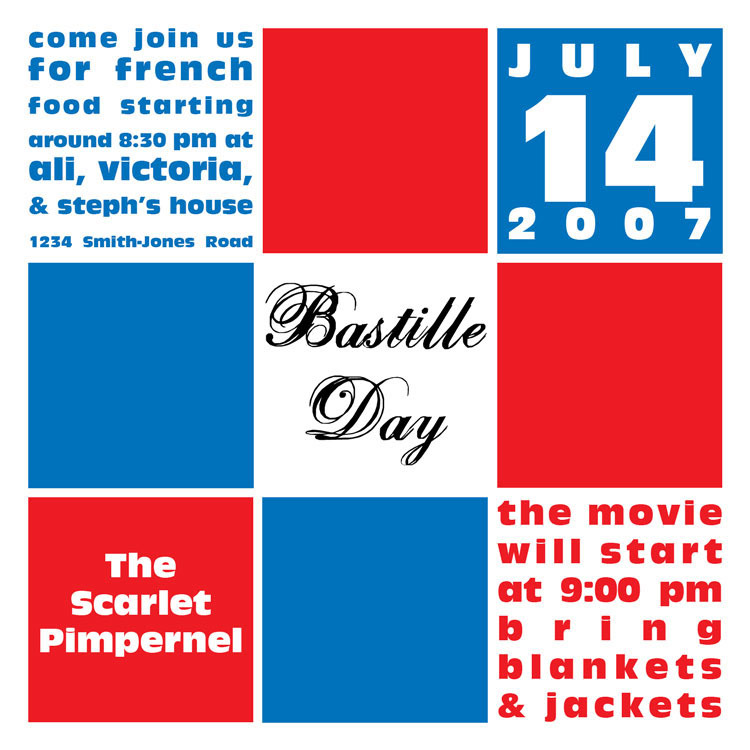 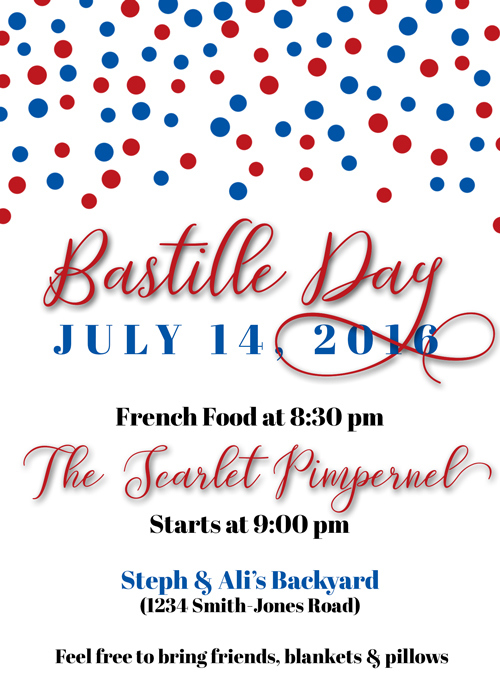 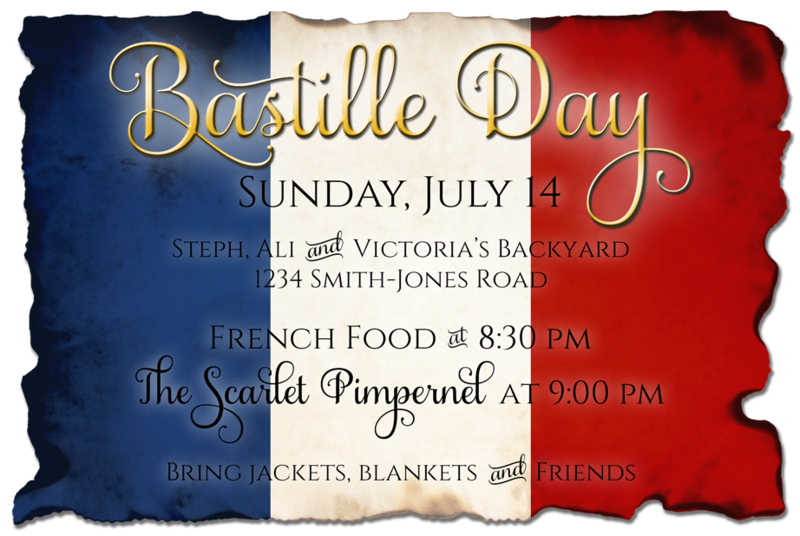 Bastille Day celebration invitation designs over the years. 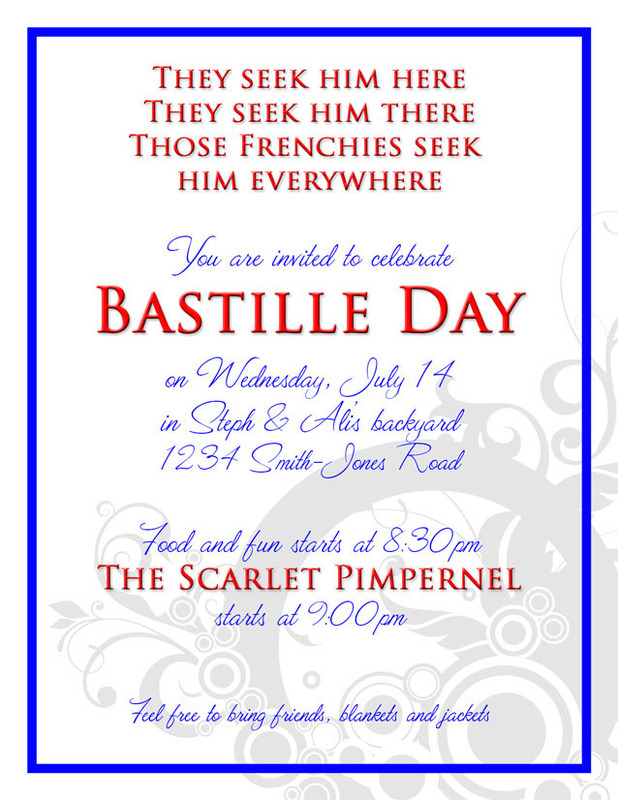 July 14 is Bastille day. 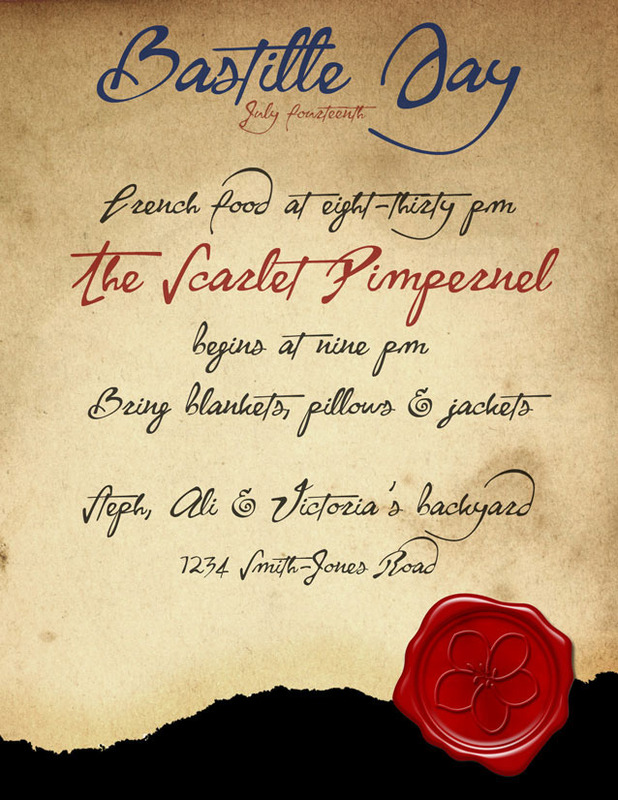 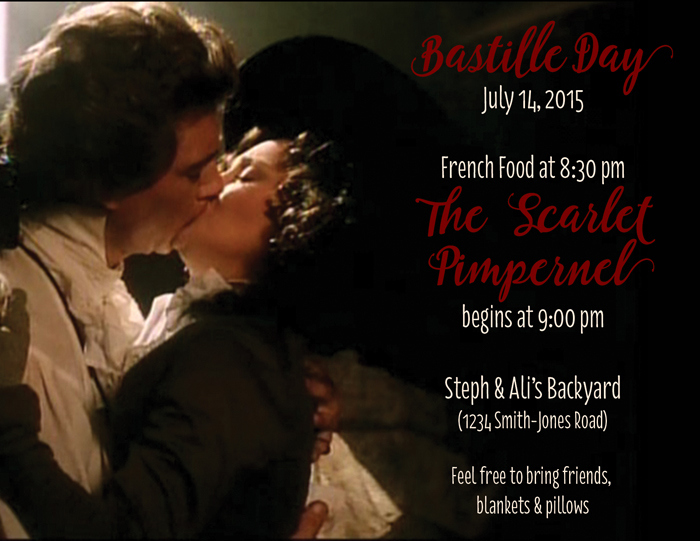 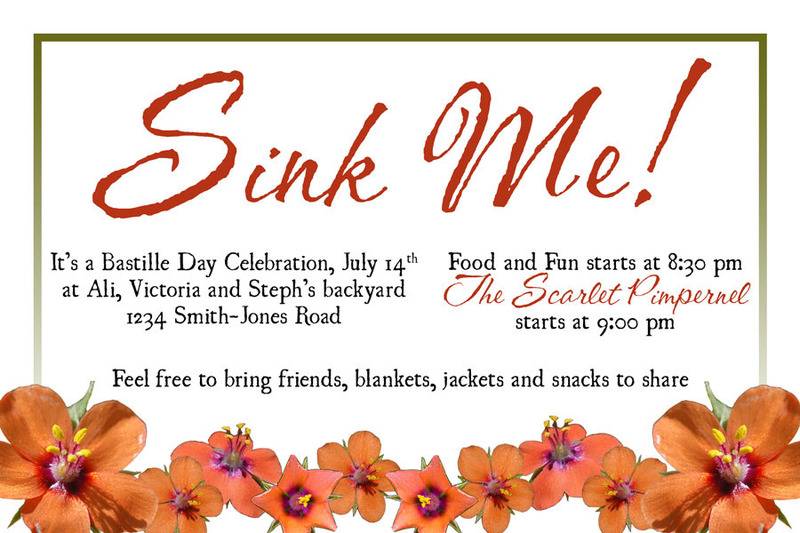 My family makes a celebration of it with french food, friends and a showing of The Scarlet Pimpernel. 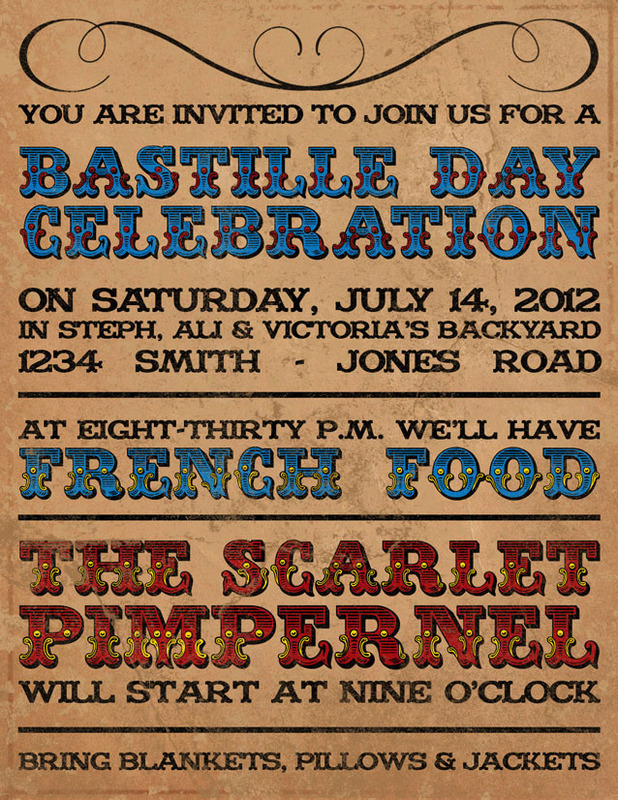 I love getting a chance to design something new for our party. 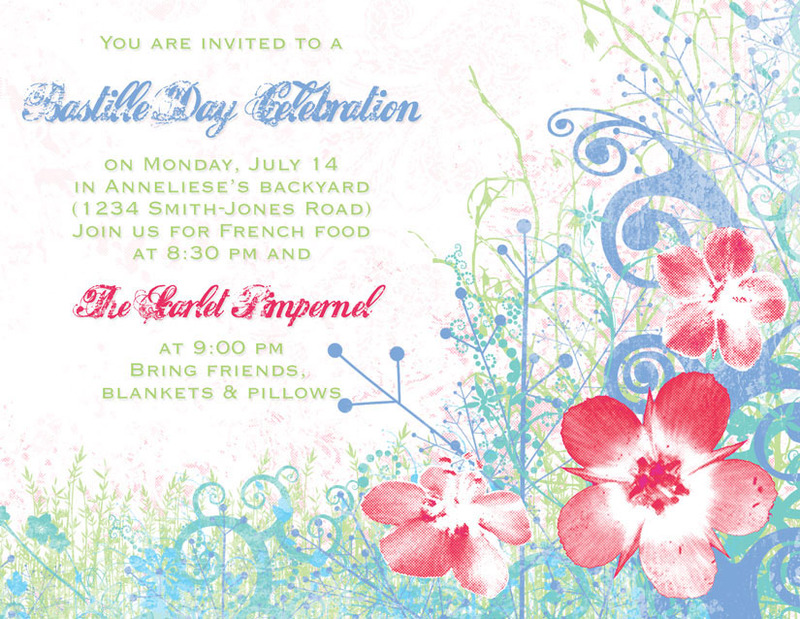 Here's a sampling of our invitations over the years.